Written by: Len Harris, Jr. The tiny spring creeks of the driftless hold some of the most colorful browns you could imagine. Photos by Len Harris, Jr. Many folks don’t know the meaning of the term driftless. 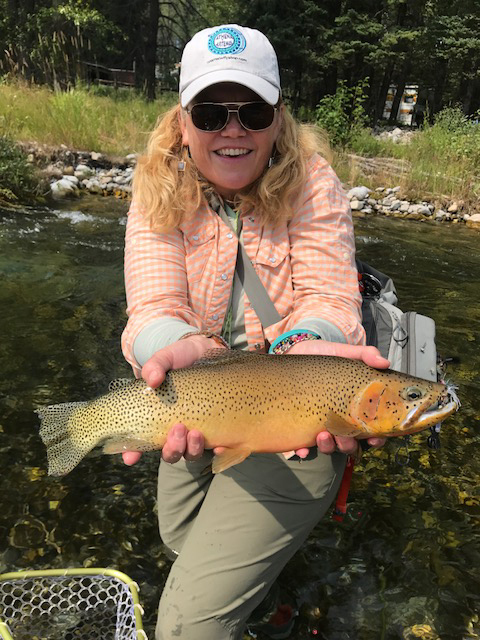 It is an area in the Midwest–comprising parts of Iowa, Illinois, Minnesota and Wisconsin–that was not flattened by the last glacial period. . . .
Geri Meyer shows off a gorgeous British Columbia cutthroat. Video: Why Chase Muskies on the Fly? Have you ever wondered why some fly fishers become obsessed with catching a musky? Well this video goes a long way toward explaining that phenomenon, and it includes a cool interview with . . . 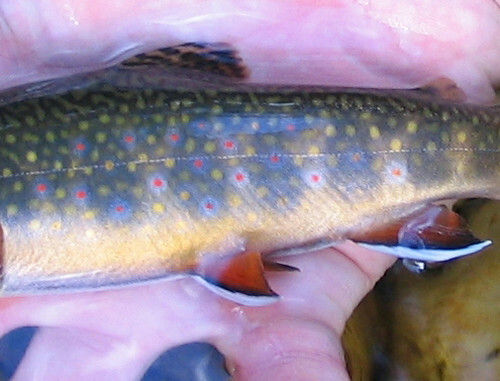 This gorgeous Driftless Area brook trout fell for a Turkey Leech. As the snow melts and the spring creeks of the Driftless Area start to settle down, every fly angler in or near this unique region starts to twitch. Spring fever is at a fever pitch, and fly fishers are. . .
Winter is a great time to fish the rivers and spring creeks of the Driftless Area of southwestern Wisconsin. Winter is one of my favorite times of the year in the Driftless Area of Wisconsin. You can have the spring creeks all to yourself, the water is clear, and the fish are hungry. There are a few things . . . This late-season brown was fooled with a Conehead Woolly Bugger in a non-typical lie. Photo by Len Harris, Jr.
Last year featured our first extended seasons in Wisconsin. Early season here opens on the first Saturday of January, and you can now fish through to the 15th of October. For many years, our . . . The fish in this hole could not be caught that day, but they provided a lasting memory nonetheless. My friend, Rob Gooze, and I were way back in the middle of nowhere on the headwaters of one of my favorite streams, when we saw this perfect rock bluff. It was early spring, and the vegetation . . . 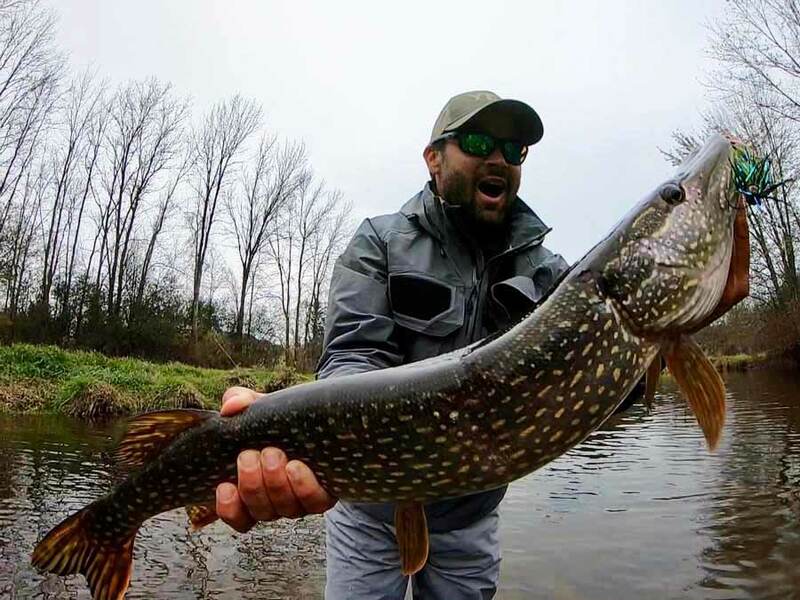 Most of the new breed of Warren-Miller-inspired fly-fishing films feature anglers catching monster fish, often in exotic locales, over a driving soundtrack. And I love watching these videos as . . . This week’s podcast is a tour of the wonders of the Midwest’s Driftless Area, where small trout streams abound, trout are plentiful, and there’s plenty of public access. What could be . . .